This story was produced by South Dakota News Watch, a non-profit news organization. Find more in-depth reporting at www.sdnewswatch.org. Every year, about 30 percent of South Dakota high school graduates who enroll in a state university must take remedial courses in math or English because they don’t test high enough in those topics. Those courses cost the students about $1,000 per class and provide them with no college credit. The classes are designed to help college-bound students catch up and be ready to take algebra, English composition or other basic classes needed to graduate. Yet national studies and data from South Dakota universities show that enrollment in a remedial course dramatically reduces the likelihood a student will graduate or complete a degree program. The same problem exists at state technical schools that also require remedial courses for students who test poorly in math or English. Students forced to take remediation endure additional tuition costs and lose pace with their peers. “Having to take remedial coursework doesn’t doom you, but it puts you behind the eight ball right out of the box in terms of your chances of graduating,” said Jay Perry, interim vice president for academic affairs at the South Dakota Board of Regents. In South Dakota, taking a required remedial course reduces the likelihood of graduating by about half. In 2012, about 43 percent of students who started at a state university and did not need a remedial course graduated in four years, while only 23 percent of students who underwent remediation graduated in four years. Multiple efforts are underway to improve teaching, learning and testing to better prepare students, and reforms are also taking place at universities to shift students away from remediation and into classes that give them credit and don’t throw them off pace to graduate. For the first time starting as early as this fall, students who don’t test high enough in math will no longer be required to take a remedial math class and instead will be offered a course called Quantitative Literacy with a learning lab that will cost them less money, give them college credit and hopefully pave the way to graduation. Paul Beran, the new president of the Board of Regents, told a legislative committee recently that the high level of required remediation often leads to blaming of the public school system on several levels. Beran also said the problem is not one with easy answers or a quick fix. 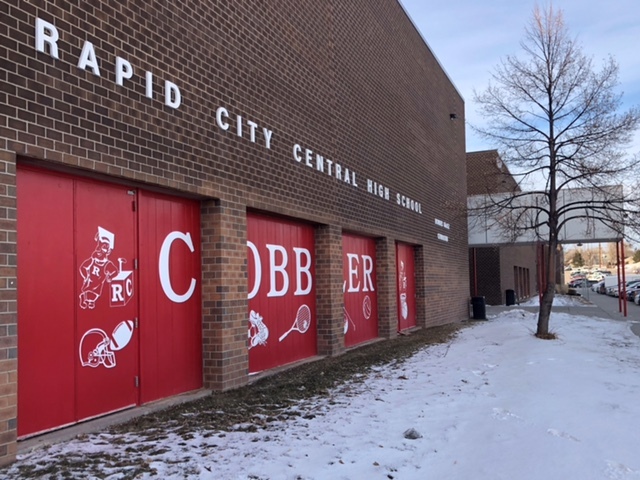 The problem has plagued educational leaders at the high school and university levels in South Dakota for years. In 2010, about 31.5 percent of the nearly 3,000 South Dakota high school graduates who enrolled in state universities full time were required to take remedial math, English or both. In 2017, about 32.8 percent of students were forced to remediate at some level. The original intent was to help out students who qualified for college but were weak in key subject areas that form the basis for advanced learning in a number of fields. Many years ago, the classes were dominated by non-traditional students who wanted to brush up on the basics before starting off on a delayed college journey. But as enrollment requirements were lowered, and obtaining a college degree became more critical to landing a good job after graduation, more people entered college and the need for remediation grew among recent high school graduates. Fall enrollment in degree-granting colleges in the United States rose by 23 percent from 1995 to 2005 and jumped another 14 percent from 2005 to 2015 to a total of about 20 million students, according to the Institute of Education Sciences. Now, most remedial classes are dominated by recent high school graduates, and data clearly show those students are less likely to complete a degree program. Taking remedial classes in South Dakota at any level is not cheap. Perry said the per-credit cost is much higher than for credit-bearing courses. Depending on the school, remediation classes cost $340 per credit compared to about $245 per credit for courses that count toward graduation. Courses are typically three credits and because they must be passed in order to move forward, some students take them more than once. At state technical schools, the cost for remedial courses is the same for credit-bearing courses, about $210 per credit or $420 for the 2-credit courses. Remedial classes at tech schools do not count toward earning a degree or certification, said Julie Brookbank, spokeswoman at Mitchell Technical Institute. Studies have also found that about one in four students required to undergo remediation in math and one in three remediated in English are “severely mis-assigned” into the courses by current testing and placement methods, and that minorities and men are disproportionately affected. South Dakota shifted to a more comprehensive assignment model several years ago that includes an index of results in math from college entrance exams, the statewide Smarter Balance standardized test and high school grade point average. Placement in English remediation is based on reaching one of four testing benchmarks. The full placement rules are compiled with a 15-page state report, but a general guideline is that remediation will be required if a student scores below an 18 on the ACT test in math or English. 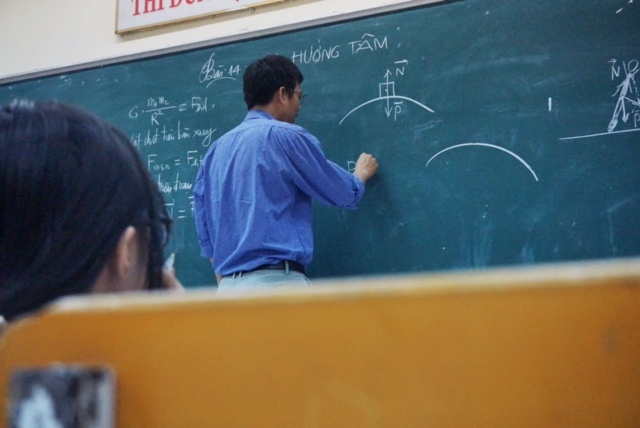 University officials believe the expanded math index and English benchmarks will reduce the need for remediation by students who perhaps did not test well but possess the skills and work ethic to succeed in college. “That index captures some people who would have gone to remedial work and suggests they can do the credit-bearing work if they have extra help,” said Perry. A pair of recent studies by the Community College Research Center at Columbia University suggested that remediation may not be needed at all for some students who are being routed into the courses. The studies suggested that many students who skipped taking remedial classes they were assigned to could go directly into college courses and perform well. Meanwhile, remedial courses may have a disproportionate negative effect on certain population groups. Complete College America, a group focused on improving graduation rates, found that men, older students, minorities such as Hispanics and African Americans and lower-income students are more likely to be channeled into remedial courses and are less likely to complete the classes than other groups. “The costs of remediation to the taxpayer are substantial, but the financial, psychological, and opportunity costs borne by the students themselves may be even more significant. While they are enrolled in remediation, students accumulate debt, spend time and money, and bear the opportunity cost of lost earnings,” a 2009 study by the research center noted. "What happens is there's a skill gap that develops, so as kids are progressing through the grades, based on our state data we know there's a growing skill gap. As far as why, that's the question we're all trying to answer." Becky Nelson, director of learning and instruction at the South Dakota Department of Education. The high remediation rate in South Dakota is a frustrating and frequent topic of discussion among policymakers and officials in state government. At a press conference following release of her first proposed annual budget, Gov. Kristi Noem acknowledged that South Dakota students aren’t performing as well as they should upon graduation. Noem, whose budget plan calls for a 2.5 percent spending hike in the K-12 and technical school systems in the coming year, said improvements can start with reforms at the level of individual school districts that have good ideas or have seen success. The challenges of reducing remediation were made clear during a House Education Committee meeting in January. Rep. Fred Deutsch asked Beran about what he called a “longer-standing problem” of high rates of remediation needed for students entering colleges and tech schools. Beran said discussions of remediation tend to focus on blaming the K-12 education system, but he said that ignores the fact that modern students face social, cultural and economic stresses that can make learning a challenge. Rep. Jamie Smith, D-Sioux Falls, the minority leader in the House and a former teacher, said improvements in K-12 education are needed but that changes should be implemented at the local level when possible and be done in a positive way. Becky Nelson, director of learning and instruction at the state education department, said focusing on learning in the early grades is critical to helping students prepare for college. Ben Jones, interim secretary for the Department of Education, said improving learning in the K-12 system may require a deep dive into school districts or even individual schools to seek out and correct weaknesses and to find and model successes. An example, Jones said, would be to react swiftly if a small district had a wave of retirements that drastically reduced the amount of teaching experience within a school’s English or math department. Administrators could then work to shift resources to provide more experienced teachers within that school so student achievement doesn’t fall off. “Looking at a statewide average doesn’t always help you move the needle; you have to look at pockets of high or low performance and if they’re having difficulties, and ask what can we do to help them out,” Jones said. Under a new program called the Regental Math Pathway Model, beginning this fall, students would not take remedial math courses. Instead, they would take an existing 3-credit course called "Quantitative Literacy," with a 2-credit math lab where they will receive educational support and learn study skills. The course approaches math use in real-world settings. In recent years, the state has taken steps to reduce the number of incoming college freshmen who need remedial coursework. One program started in the 2013-14 school year gives college bound high school seniors that opportunity to take additional online coursework aimed specifically at passing tests and avoiding remediation. Under the College Readiness Coursework program, students who sign up are given a pre-test to determine subject weaknesses and then receive online and in-person tutoring before taking a post-test that can be used to skip remedial coursework in college. Students pay a fee ranging from $125 to $175 for the course but are fully reimbursed by the state if they complete it. So far, participation by school districts and students has been low, Nelson said. In 2016, 100 students completed the course, followed by 90 in 2017 and only 61 in 2018. Passage rates have ranged from 51 to 73 percent. Jolene Christianson, a math teacher in the Britton-Hecla School District in Marshall County, has had success using the college readiness program to help students avoid remediation. This school year, six students enrolled in the program that she oversees during regular class time at the high school. Christianson said she supports the program not only as a way for students to learn, but also to avoid the pitfalls that come with taking remedial courses after high school. Christianson, who has been teaching math for nearly four decades, said she has seen a drop off in the maturity level of students that may make them less likely to succeed in college. She has also noted societal and parenting changes that protect children from the possibility of failure, which she said does not always prepare them well for college or life and which can make remediation less effective. The most aggressive efforts to reduce the number of students in math remediation have taken place at South Dakota State University. Kurt Cogswell, head of the Department of Mathematics and Statistics at SDSU, said the college has taken innovative and aggressive steps over the past decade to reduce enrollment in remedial math. Cogswell led the effort to create the math placement index that is now used across the university system, and SDSU also developed a course in which some students could avoid remediation by taking college algebra with a co-requisite class that provides tutoring, study skills and additional support. Math educators know that passing college algebra, sometimes referred to as “the killer course,” is a graduation requirement that frequently prevents students from getting a degree. “Algebra is very much focused on skills needed in later courses such as chemistry, ag sciences, economics, and it deals with topics that often strike fear into the hearts of people,” said Cogswell. Using the placement index and the co-requisite algebra course reduced the number of SDSU students in math remediation classes from 1,142 in 2012-13 to only 250 this academic year. With results in hand, Cogswell worked with the Board of Regents to create the Regental Math Pathway Model, which was approved and will begin at South Dakota universities as early as this fall. Under the program, no future students who qualify to enter college will have to take a remedial math class. Instead, Cogswell said, the students will take an existing 3-credit course called Quantitative Literacy with a co-requisite 2-credit math lab where they will learn study skills and receive educational support. Not only will students save money compared to paying for remediation, but they will also take a credit-bearing math class that for many liberal arts majors will be the only math class they need to graduate. Cogswell said the course has some of the same components of algebra but approaches math use in more real-world settings. Students in majors with a need for higher-level math will still need to take those courses listed under their major, Cogswell said, and all majors at the South Dakota School of Mines & Technology will require more math. Cogswell and Perry reject the notion that eliminating the algebra requirement is a “dumbing down” of the math standards in order to allow more poor-performing students to graduate. 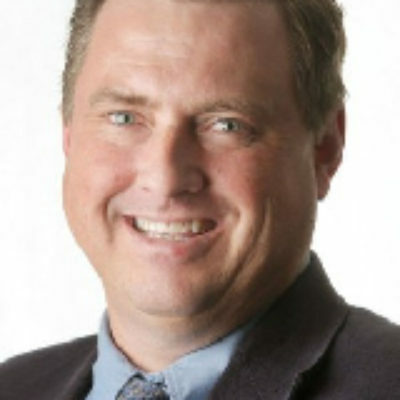 Bart Pfankuch, Rapid City, S.D., is an investigative reporter for South Dakota News Watch. A Wisconsin native, he is a former editor of the Rapid City Journal. Bart has spent almost 30 years as a reporter and editor.